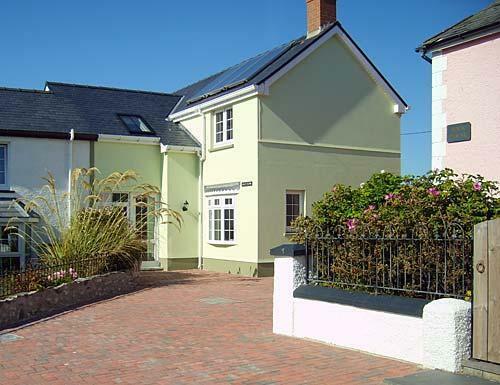 Ogof Lludw is situated on the sea front at Aberporth, with the large lounge and conservatory windows overlooking Cardigan bay, where a number of dolphins have been seen recently. 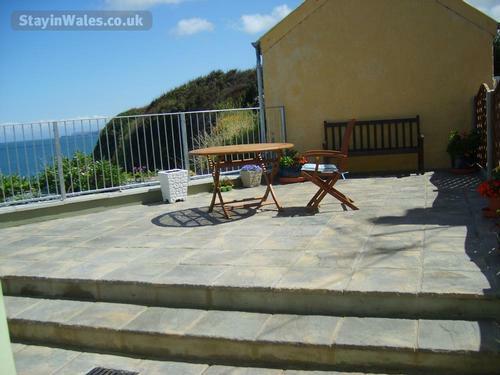 It is 100yds away from the Ceredigion Coastal path, and therefore, ideal for walkers and climbers. There is a large private patio area with seating facilities at rear of house. 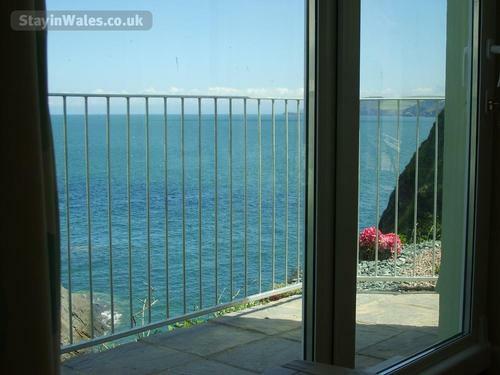 This overlooks the sea, and on a clear day you may see as far as Penllyn, in North Wales. 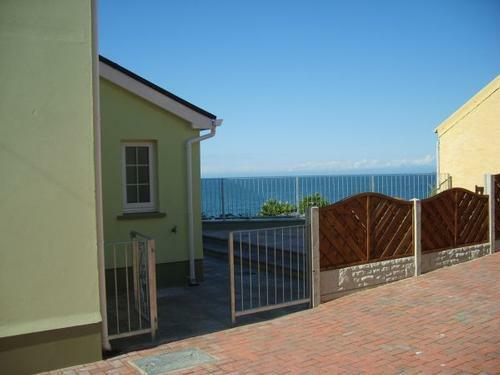 Between Ogof Lludw (front) and the sea there is large lawned area overlooking the beach, where seats are provided. 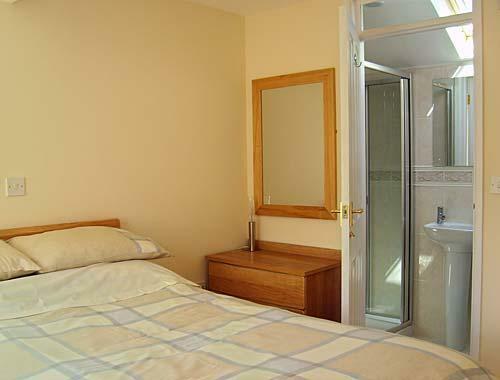 On the first floor are four bedrooms: a double bedroom with en-suite (shower and toilet), a double bedroom with wash basin, a single bedroom, a twin bedroom, and a bathroom with over bath shower. 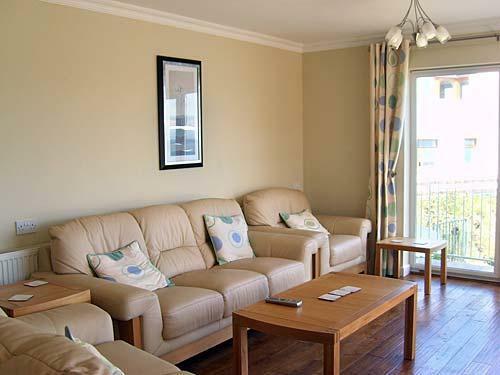 On the ground floor there is a large very comfortably furnished lounge, dining room, kitchen, small conservatory and toilet. 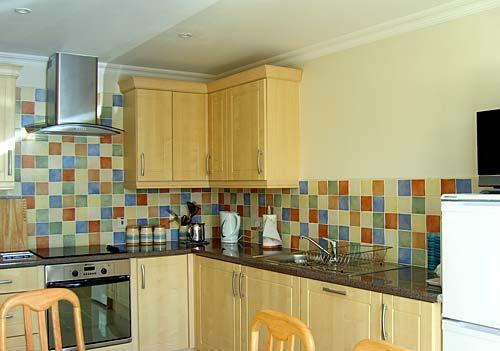 The kitchen is equipped with washer/dryer, cooker with hob and extractor fan, dishwasher, microwave, and a fridge/freezer. 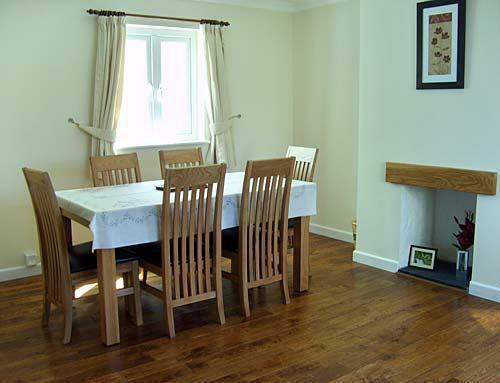 Digital television and dvd player in the lounge, and a television in the kitchen. Linen and duvets are provided. A comprehensive range of crockery, ovenware, glassware, cutlery, utensils and saucepans is provided to help make cooking a pleasure. Central heating and electricity included in price. 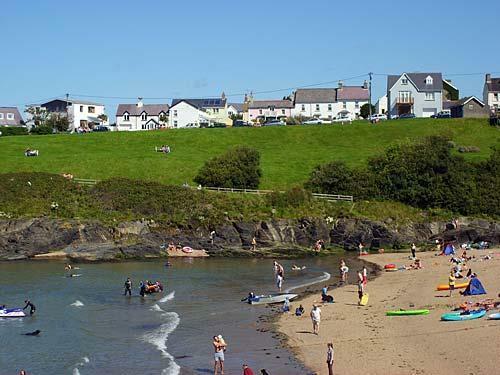 Aberporth has a number of shops, including grocers, hardware, antique shop etc, together with a launderette and childrens' play area. 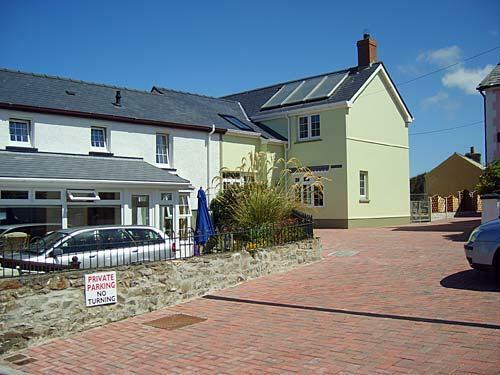 There are also a number of hotels, pubs and a takeaway. 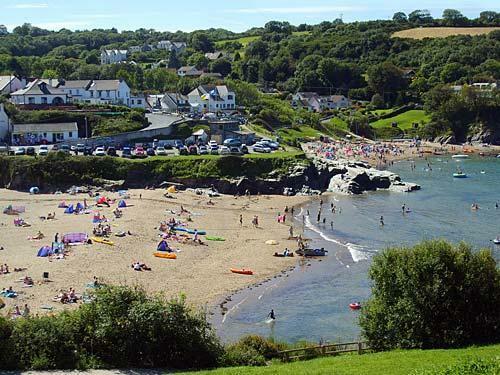 A walk along the coastal path connecting Aberporth and nearest village Tresaith is a must as the scenery is well worth seeing. Although a quiet village Aberporth has easy access to the market town of Cardigan which is 7 miles away. Narberth with Oakwood Theme Park 28 miles. St Davids Cathedral 40 miles. Aberystwyth University town 33 miles. Plenty to do for all ages if you do not wish to sit and enjoy the beautiful scenery. 20% deposit will secure booking, balance 1 month before start of holiday. Electricity and heating inlcuded in price. Bed linen included in price. Please make Cheques payable to Haulwen Lewis, and sent to Aneddle, Pencader Carmarthen SA39 9BX.